In case you hadn’t gathered, POD hails from the city of brotherly. South Philly, in fact. And while POD 2010 hasn’t been as victorious as this gardener would like, there have been some unlikely successes (hello, super-melon that may or may not have been a Charentais) and a few survivors. Hello, Champ. 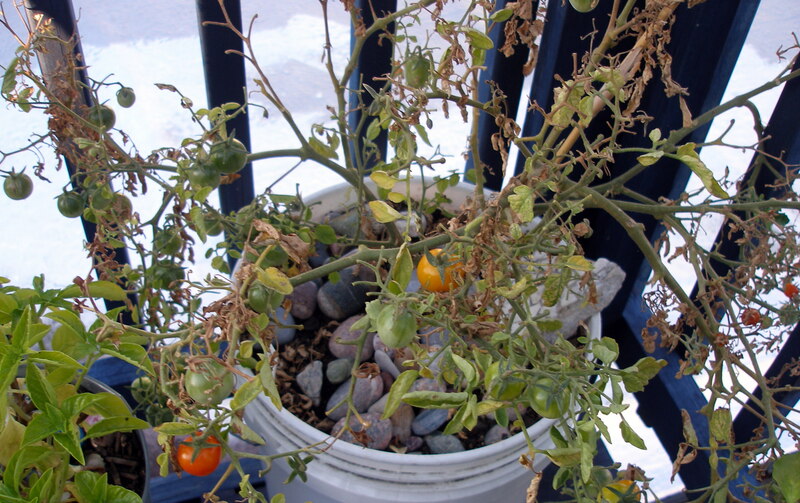 Most notably this hideous, battered, and aging gold nugget cherry tomato. Let’s hear it for the champ. Nearly four pounds of tomatoes were harvested and Champ can take most of the credit. 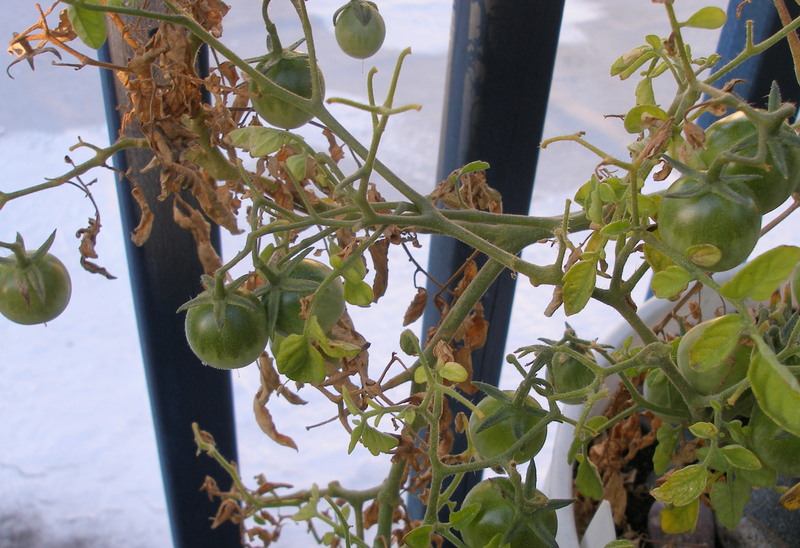 Although he appears to be begging to be put out of his misery, it looks like he’s got one more trip to the ring left in him: the 20-some fledgling tomatoes just may make it to harvest. This determinate’s a keeper. In fact, POD’s swearing off the indeterminates and is gonna’ stick to the underdogs next year. I grew one celebrity and one patio tomato this year, both determinates. I like them, and they grew well for me in containers. My one indeterimate, sugar snack, (a cherry tom) grew half-way to the moon, but it’s production wasn’t as good as it would have been if it were in ground. I’m staying with determinates, too. I just finished up the second crop from the celebrity. They made wonderful tomato sauce. I couldn’t believe how good it was. Currently, my lemon cucumbers are fruiting like the “berries.” They’re good cucumbers, too, very tasty. Can’t wait to grow these again next year. Celebrity. I’ve gotta’ remember that for the “things to remember next year” post…which I should probably do soon before I forget all those things I want to do.